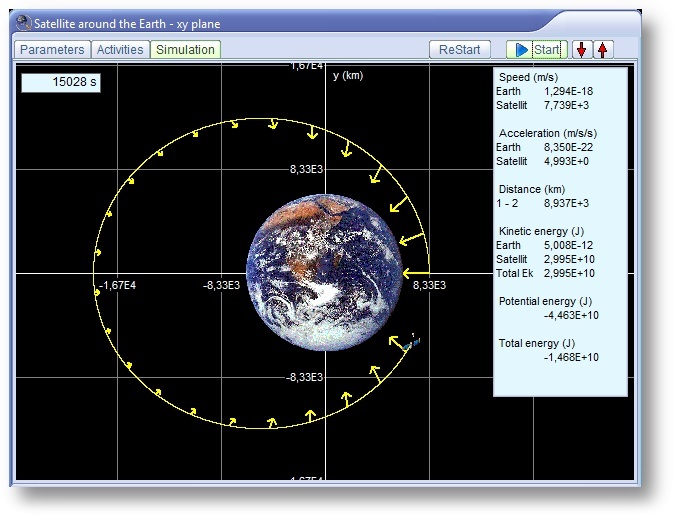 Orbit Xplorer is an easy-to-use orbit simulator suitable for high school, college and university students and teachers, or anyone with an interest in physics and astronomy. For the first time you can do "lab exercises" in gravitational physics! 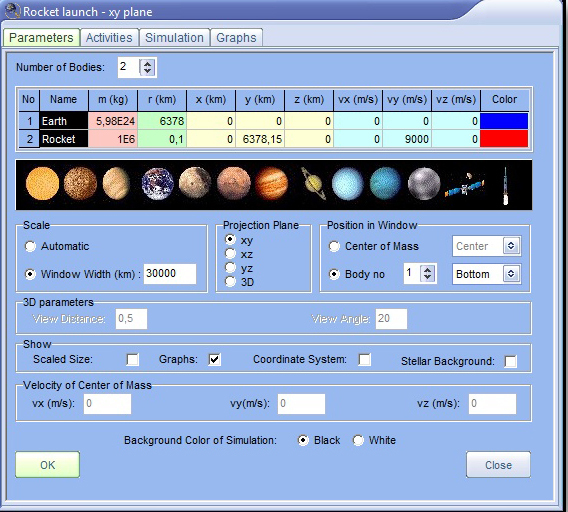 If you are solving problems involving orbits of satellites, planets or stars it will be exciting to simulate the problem in Orbit Xplorer and compare its numerical output with your own solutions. 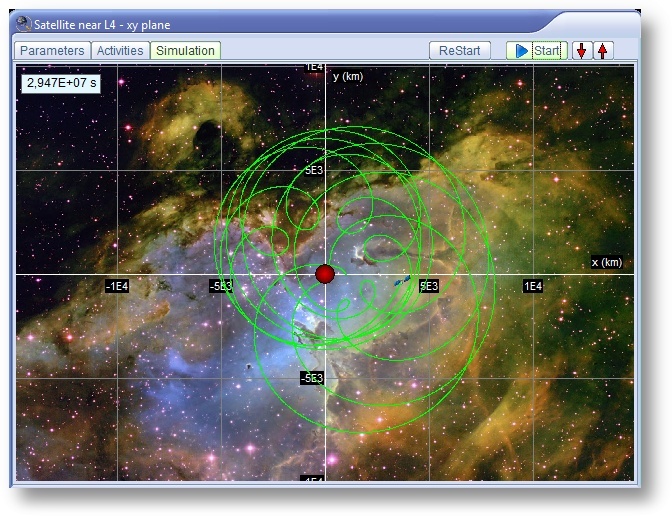 Orbit Xplorer comes with 30 premade simulations which you may modify as you like. Each simulation includes one or more suggested activities of varying difficulty. You may also construct and save your own simulation. 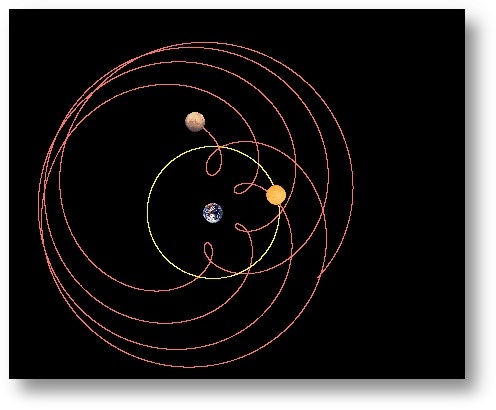 Calculate and plot the orbits of up to 10 gravitationally interacting bodies. 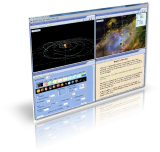 Easily create, run, save and print your own orbit simulation. View time, distance, velocity, acceleration and energy. View speed and acceleration vectors. Create graphs of distance, velocity, acceleration and energy versus time. Run up to four simultaneous simulations. 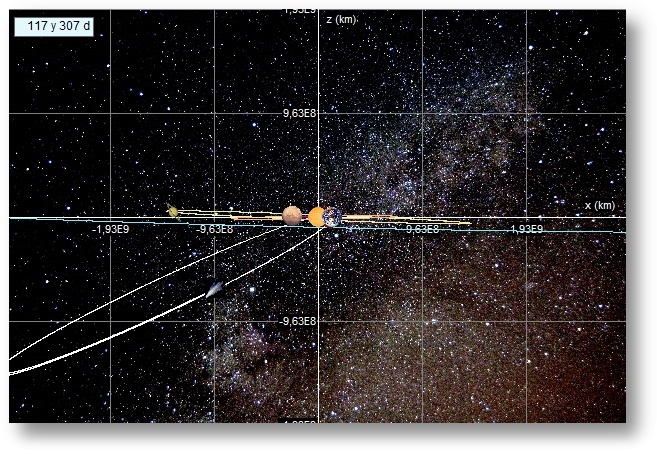 Project the orbits into one of three planes or view them in 3D. Use actual pictures of planets. "In an introductory physics course, it will be invaluable for bringing concepts such as Kepler’s laws and planetary motion to life. ... In conclusion, this is an excellent package that I would recommend for teachers of school and university students alike."